Wow. 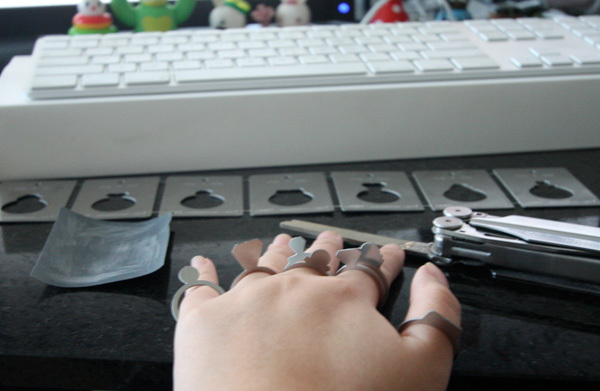 So i’m sitting here completely mesmerized, conflicted, fascinated, and DYING to pop out ALL the rings. NOW! 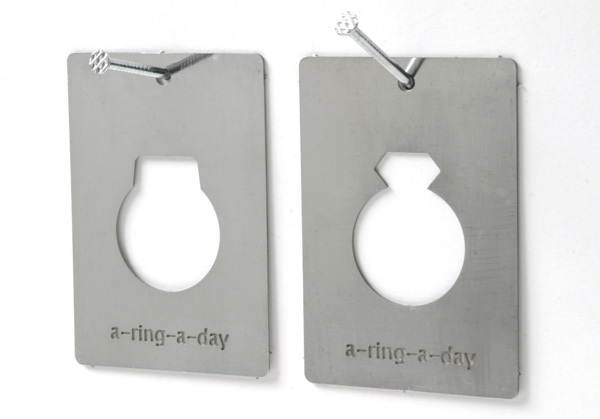 So far my self control has kicked in and i only popped out the first one for the sake of showing you and photographing it… and sandpapering… and ok ~ so here’s the deal ~ basically i’m totally obsessed with By:Amt’s latest: Stainless Steel Ring A Day. 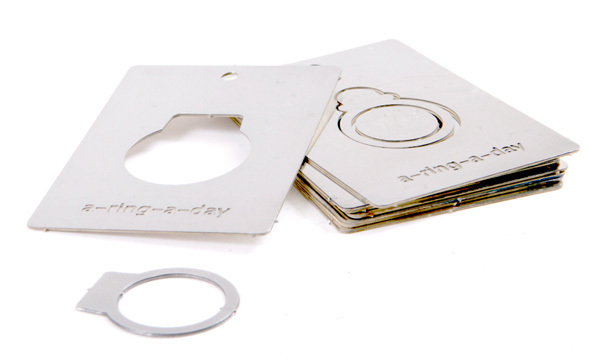 It comes with 7 rings and a piece of sandpaper ~ the rings are in these adorable polished stainless steel cards… that you can pop out, or not. That you can disconnect, or not. That you can wear all at once, or not… See? It’s overwhelmingly awesome and conflicting and exciting all at once. It really doesn’t help that once you pop the first one out and slip it on your finger more ideas start racing, and you can’t stop wearing/playing with it. I think this just jumped up onto the perfect gift list… as long as you pick the right size. 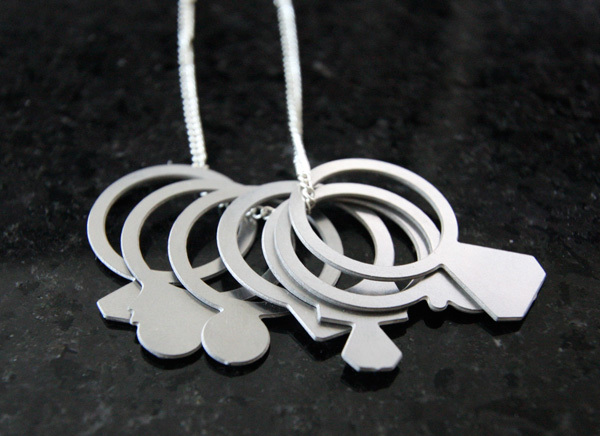 Think about it ~ for $99 to get 7 rings, or 7 necklaces, or 7 rings AND 7 necklaces…. 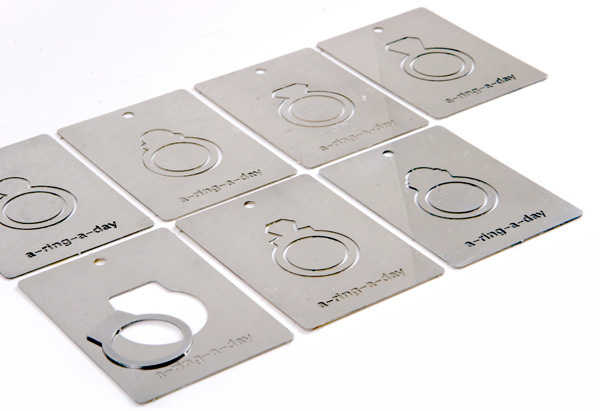 it could be one amazing gift, or you can even split them up into 7 precious stainless steel rings for your bffs…. or the coolest gift tags on presents? 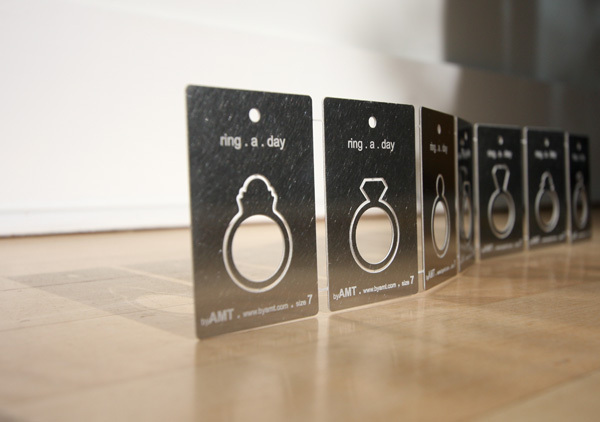 Or if you’re a planner, i guess you could really do one ring each day of the week, but who has that much self control? 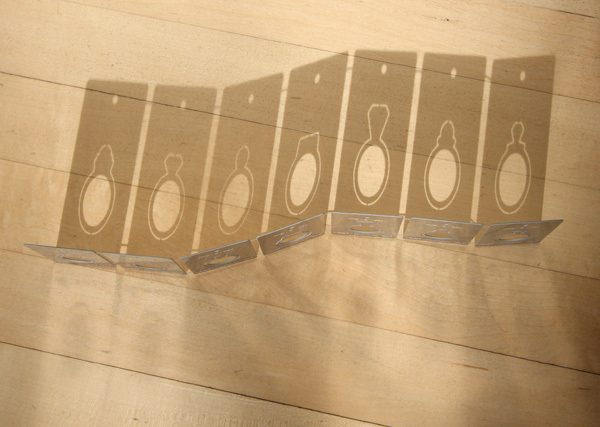 They could even be rings + awesome shiny iconic chrismukkah tree ornaments! 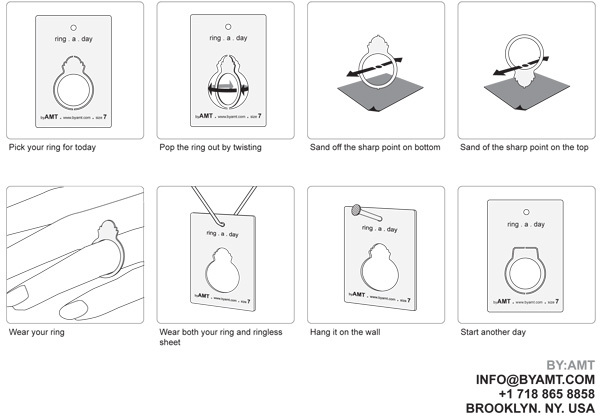 Bored with your baubles? Need an instant fashion pick-me-up? 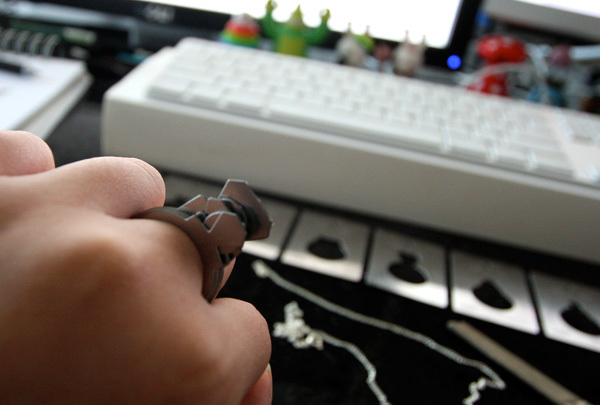 The Ring a Day is for you. 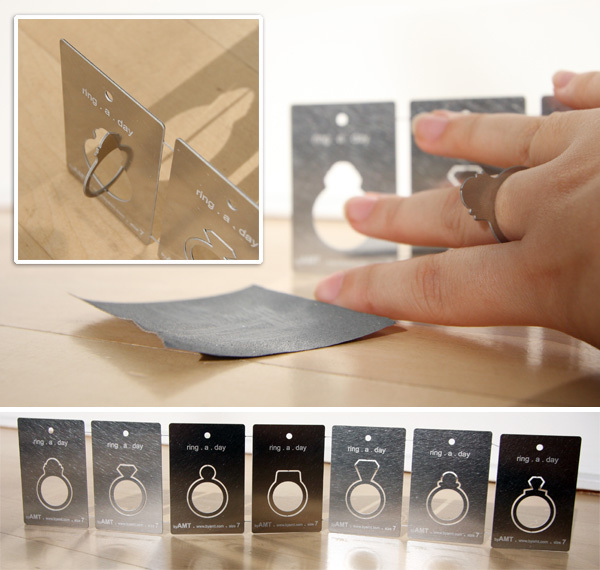 Simply pop a pre-cut ring from a stainless steel, polish rough edges with the included sandpaper, and voilá! The sheet itself makes great wall art once all the rings have been removed, or can be worn as a necklace. 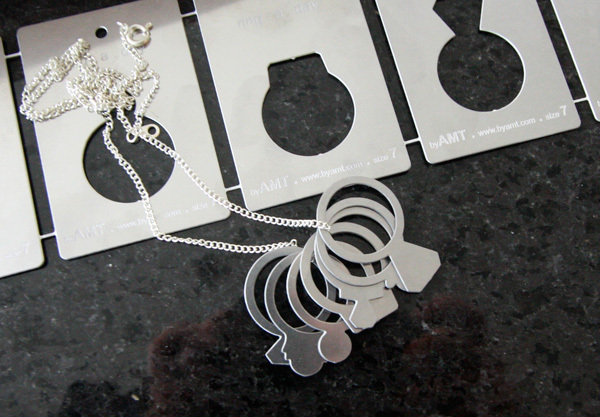 Just attach a chain to the piece. Don’t forget! If you order this ~ you can choose a free diamond ring too! I have to say that this is not very creative. And now the price has been upped to 140 is just absurd. Indeed the cost of making this is much more than $5-10 that is why the price is at $99.00. We’re just calculating the regular margin for this product + packaging. We are not ripping anyone off. Why else would we also sell $10 acrylic rings? - Thanks all for reading the Ring A Day Post & Thanks Jean! - Enjoy! This is a neat concept, but I definitely don’t think it’s such an amazing idea as to justify a $99 pricetag on a product that costs maybe $5-10 at most to manufacture. a hundred bucks for something made out of a dollars worth of stainless steel? there must be allot of suckers out there. Louise ~ actually that was the first thing i thought when i saw it too! (Actually probably the first thing i asked allisia when she sent me pics!) definitely one of those - need to see in person - type of things ~ i’ve been wearing them and typing for hours now, and its surprisingly comfortable! 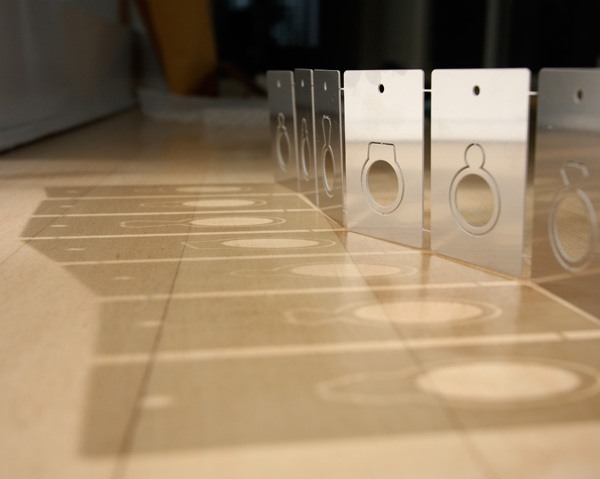 And unless you’re bad with the filing the tiny nubs, it shouldn’t cut you or anything around you up! 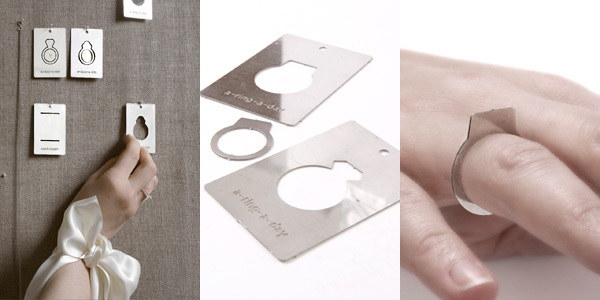 I like the concept, but the shape of the rings look like it might be uncomfortable and might cut into your finger after a long time of wear. Is that a problem?